I had already kinda decided what I wanted next and after sitting on one a couple of weeks ago to see if I fitted ok, I have made my mind up that it is definately the bike for me…. One thing though, I’m gonna have to do something with the exhaust, as and when I get one… It’s flippin HUGE!!!!!!!!! I was coming into Banbury on my way home from work this afternoon and this dozy woman decided she wanted to be in the same lane as me….. Normally not a problem, right? Well…. This time it was.. She decided to change lanes WITHOUT checking her blind spot, where I was and almost drove straight into me!!!!!! Luckily for me, she realised I was there at the last minute and pulled back over.. It was definately lucky for me as there was traffic coming in the opposite direction and I literally had no where to go to get away from her! Judging by the look on her face when she realised I was there, methinks she may have shat herself!!!! 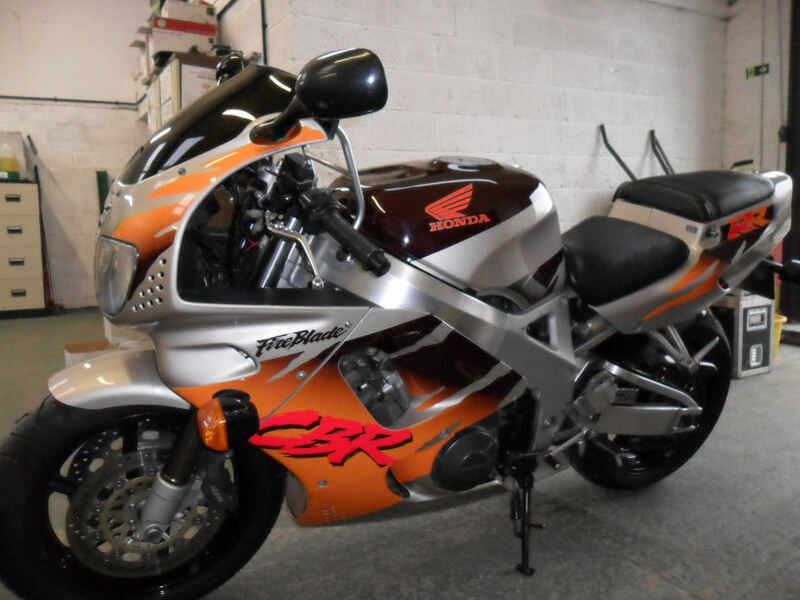 Time To Spend Some Money On My Baby..
I’ve had my bike now for 16 months and the time has come to spend some money on her as a few things need to be sorted out…. Firstly a new chain and sprocket set.. Unfortunately I have a link seizing up on me, so it’s time to replace the lot.. I did a bit of hunting around on the interweb and managed to find an X-ring DID chain and sprocket set for the absolutely stunning price of £76.94 on ebay from Hunters Motorcycles 🙂 It’s been paid for and should be with me very soon..
She also needs a new set of tyres.. Now as far as the tyres on my baby are concerned I cannot complain one bit.. They were on the bike when I bought her and looked fairly new and since then I have done over 4500 miles on them.. There is still more than enough tread on them but they have squared off and so tip me into corners suddenly, rather than me leaning over nicely.. So they have been ordered so they can be replaced..
As I seem to be working my way through the different bike manufacturers and listing which models you can buy a HyperPro Ride Height Adjustment Kit for I thought I would do the Yamaha motorcycle models next. With one of their lowering kits you can lower your bike by 30 to 40 millimetres while with a height rising kits you can make your motorbike 20 to 30 millimetres higher. This could make all the difference to you feeling safe and comfortable on the bike of your choice. Made from high grade aluminium, the HyperPro Ride Height Adjustment Kits are designed to safely adjust the ride height of the bike. Full fitting instructions are supplied with the kits but if you are unsure in any way about fitting the kit, then it is best you take your bike to your nearest bike workshop and have them do it for you. If you are a lady rider looking to get a bike and are unsure of what bikes you may be able to ride, please check out the following posts as they should give you more information on the bikes you will be able to ride. Totally Unrelated To Bikes – But Good News Anyway! To say I’m over the moon is an understatement! I start on Monday 6th July at 9am and I’m going back to working in an office doing the admin and accounts. You are currently browsing the Blade Rider blog archives for July, 2009.